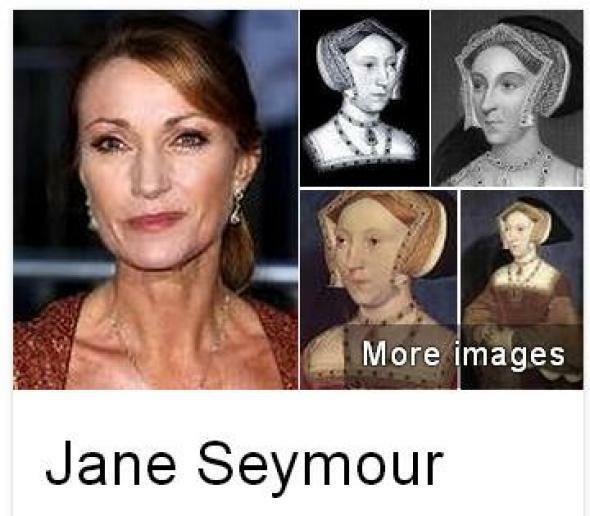 Google "Henry VIII wives": Jane Seymour reveals search engine's blind spots. 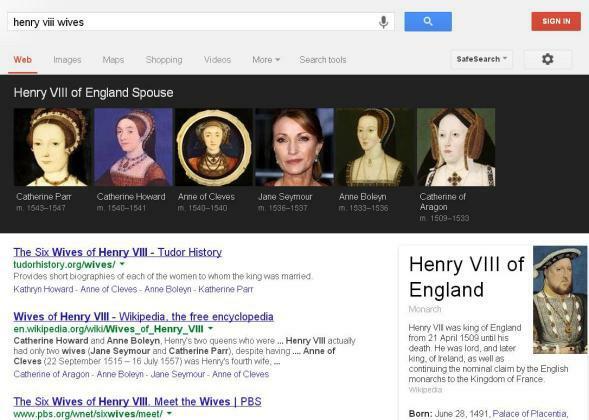 Google is getting pretty clever these days. Increasingly, when you enter a common search term on the site, it’s so confident that it knows what you have in mind that it gives you its own answer before it even lists any search results. As my former colleague Farhad Manjoo has explained, this all part of the company’s grand plan to build the Star Trek Computer—a great, all-knowing machine that can understand and answer any question you might have instantaneously, or perhaps even before you’ve thought to ask it. Asking “What time is the Super Bowl” used to take you to a cleverly search-engine-optimized Huffington Post story. Last year, however, Google simply began answering the question directly. Likewise, Googling your favorite pro sports team’s roster now calls up a scrolling list of clickable player names and photos. One of King Henry VIII’s spouses apparently benefited from a surprisingly photorealistic portraiture.